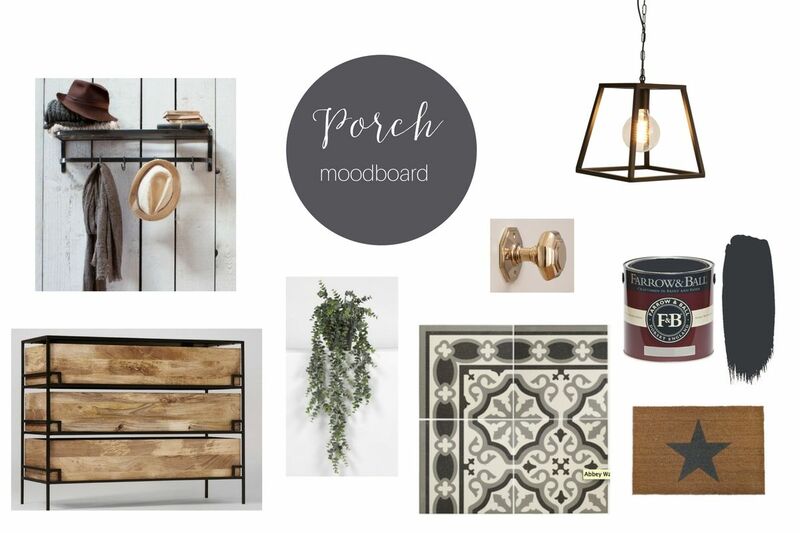 Until recently, I hadn’t really given our porch much consideration until one day I realised that it is the first impression people get of our home…and just now that is certainly not a positive impression! Porches can be really beautiful spaces that welcome people in to your house, but so often become a bit of a dumping ground for unwanted post, muddy shoes and creepy crawlies. We believe our porch was added to our Edwardian home sometime in the 50s or 60s. It is functional, helps keep the cold out and it is brilliant for receiving packages … but it is not pretty. It has no period features bar a red quarry tiled floor and leaves me feeling a bit forlorn when I enter my home. We have commissioned a joiner to create a beautiful new porch which has a little more detail to it and is more in keeping with our Edwardian home, and we are giving the interior of the porch a make over too. Currently, the bare brick is painted white so we will plaster and repaint in bright white. I am really in to contrast and monochrome interiors at the moment so we’ll be repainting the front door in Railings and adding some gorgeous brass hardware. We’ll add a decorative skirting board, so we may even paint that in Railings too. To create a really beautiful statement we have picked some gorgeous patterned floor tiles (you may have seen my round up of the best patterned floor tiles here) and replace the current, horrible flush light fitting with a simple pendant. We need some storage to hide away the ever-growing pile of shoes that are taking over the hallway and I love the idea of using a chest of drawers that shoes can be tucked in to out of sight. A little bit of (probably faux) greenery to make it homely and ta-da! A stylish, welcoming space that I won’t want to drag my guests through quickly! 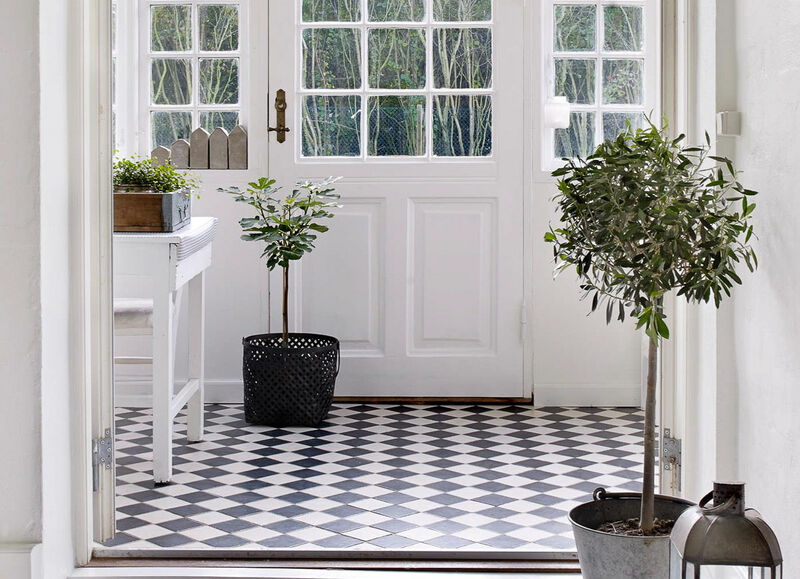 For more porch inspiration, visit my Pinterest board here. What do you think? Do you have a porch and what do you use it for?